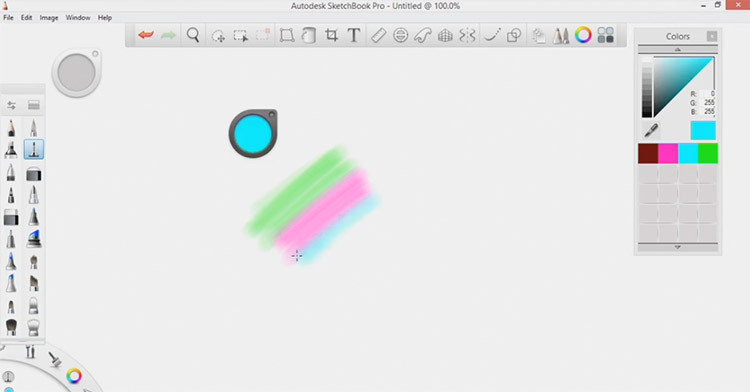 The Autodesk SketchBook Pro software is a fantastic alternative to Photoshop and other painting programs. It’s a cheap yet usable program that runs on all platforms including tablets. Learning the SketchBook interface comes with time and practice but tutorials can really speed up that process. So I’ve curated the absolute best tuts online both free and paid options. If you’re looking to dive right into SketchBook then this guide is sure to have everything you need. It makes sense to start with free video lessons because not everyone wants to invest time into learning a program. But free lessons can also feel limited so they should be just the beginning. These are some of my top recommendations if you’re unsure of where to start and don’t have a budget for learning. 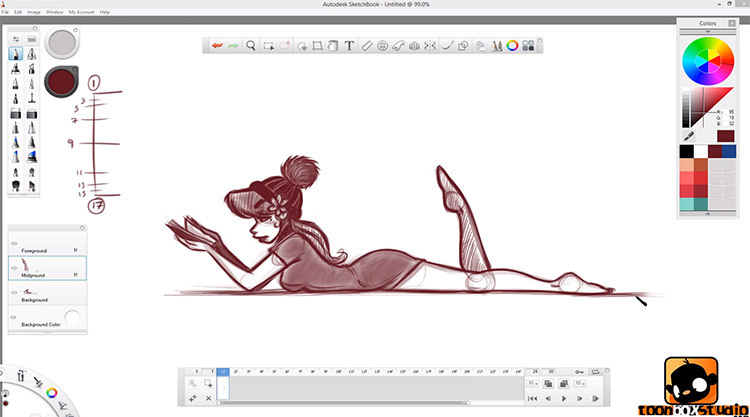 I’m a big fan of all the Toonboxstudio videos and this one offers a complete basics intro guide to SketchBook Pro 6. As of this writing the current version is SketchBook 7 but all the lessons still apply. It’s a one hour video and it covers a lot of material. You’ll learn how to edit preferences, rotate the canvas, and work with all the various tools along with some handy keyboard shortcuts. Definitely keep this one saved if you’re looking for a strong start. 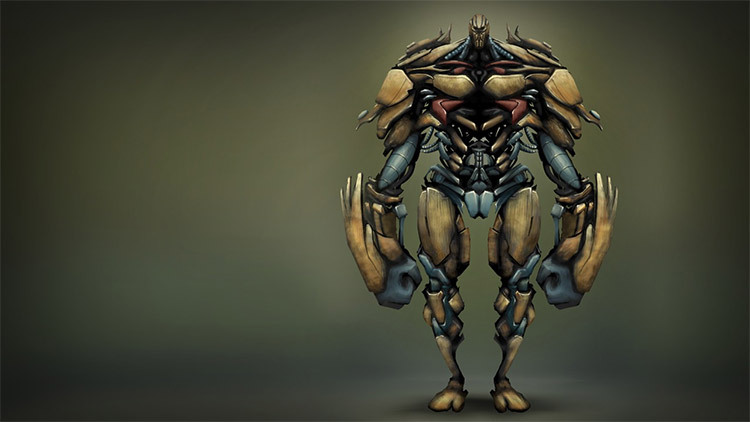 Concept artist Trent Kaniuga teaches this detailed guide to the SketchBook software. It’s also a fairly lengthy video totaling just over 30 minutes with plenty of visual guides for beginners. The goal of Trent’s video is to teach SketchBook from a practical perspective. You’ll learn how to use the software for real-world situations and it’s a fantastic exercise for getting into the details. You can find lots of similar videos on Trent’s YouTube page and they’re all pretty detailed too. For a much more specific tutorial check out this tut explaining how to color a character design using SketchBook. 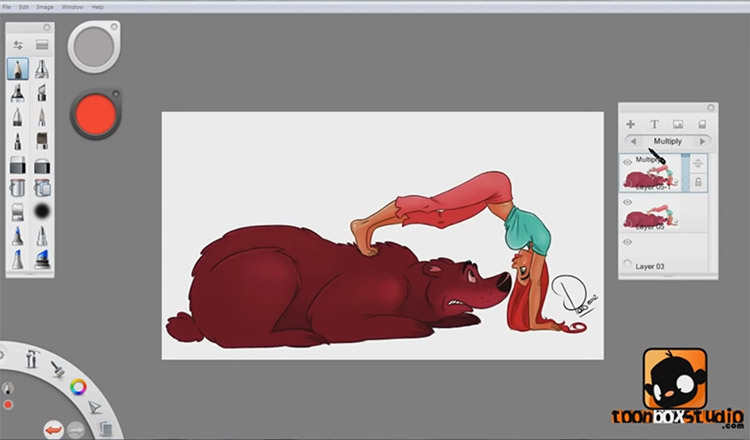 Note this starts with a digital sketch and the whole hour-long tutorial explains how to color that sketch. It’s not a complete guide from scratch so it helps if you already know how to sketch and have some ideas down in B&W. The techniques are fantastic and should apply to pretty much all coloring projects from cartoons to concept art. 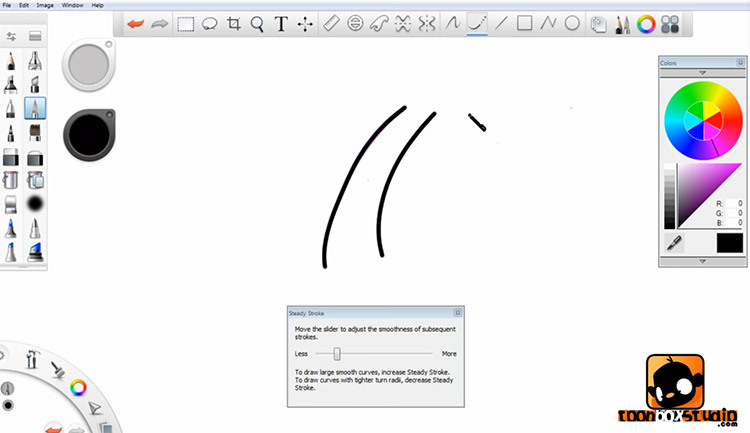 Wacom’s YouTube channel actually has a few guided tutorials and lessons on popular painting software. 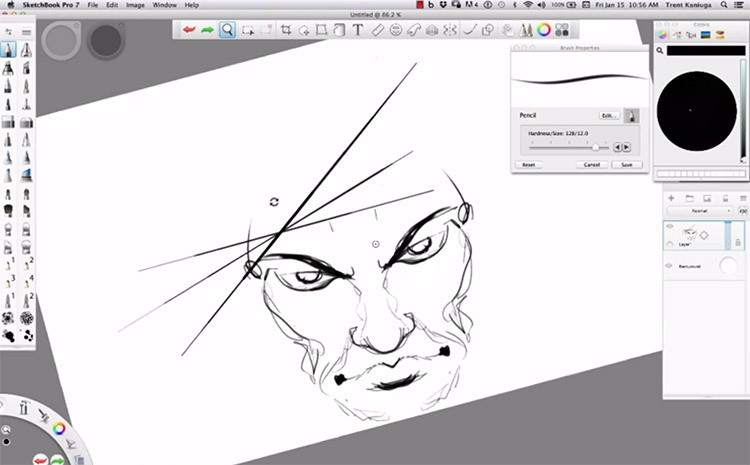 This one covers tips & tricks for artists just starting to learn the SketchBook Pro 7 software. It’s a quick video only 11 minutes long but it’s a great resource once you know the basics. The video instructor Kevin Mellon is a storyboard artist on the animated show Archer. He covers a lot of the best tricks for coloring accurately and getting the most out of this software. 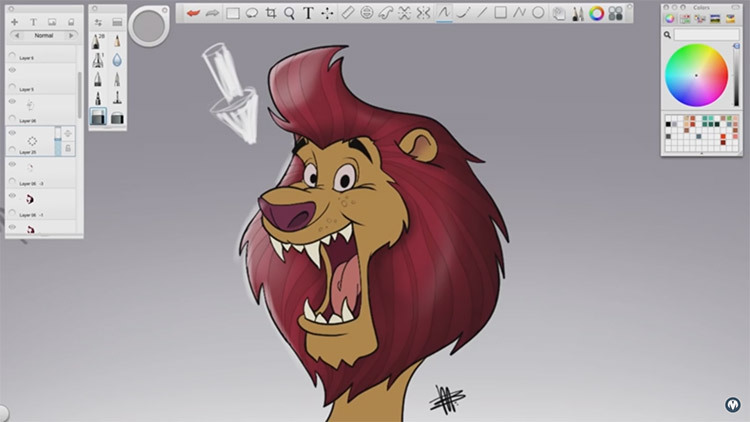 Here’s one other Toonboxstudio video and this one goes a lot further into detail on coloring. It talks about blend modes for artists and how to use these blend modes to your advantage. Artist Paris Christou shares real-world ideas and even uses sample artwork to show how blend modes fit naturally into an artist’s workflow. Honestly not a super long tutorial but it’s just one of many in the series of SketchBook Pro videos on their channel. This one is probably a lot better for animators than concept artists but it’s still a fantastic guide. 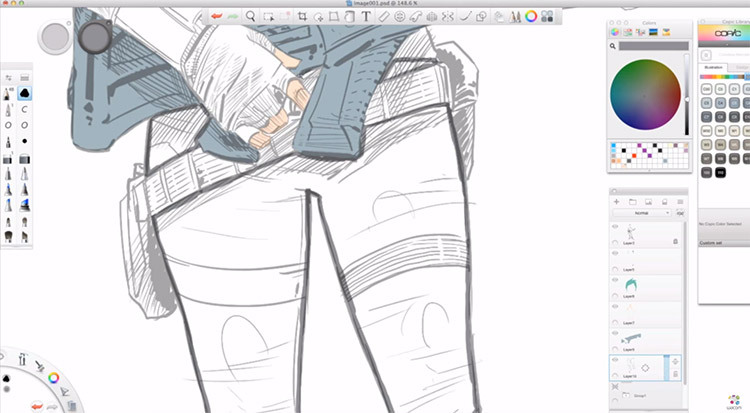 The flipbook tutorial video teaches how to work with this new feature in SketchBook Pro 7. It’s a great skill to pick up if you can learn to master and put it to good use. But of course this will take time. To get real detailed with Sketchbook then you’ll want to premium lessons. There aren’t too many paid courses out there but I usually recommend the ones from Pluralsight because they’re detailed and very easy to understand. Feel free to check Google and see what’s out there but these are my top picks and they’re all fantastic. The process of thumbnailing is crucial to concept art, animation, and really all forms of visual art. In this video course you’ll learn how to create thumbnails rapidly for all types of projects. SketchBook Pro has some great features for this and since you’re working digitally it’s a lot easier to fix mistakes. It lasts about 2 hours long and contains a bunch of tips for sketching creatures, characters, and lots of unique ideas visually. All entertainment artists use model sheets from 2D animation to 3D character modeling. But artists usually start with drawings because they’re easier to craft and they work as a base idea for designers. Digital artist Eddie Russell explains these concepts in his premium course on designing model sheets with SketchBook Pro. It has a ton of video content totaling over 3 hours of lessons and guided exercises. You’ll learn how to create different views for models and how to best showcase your character model designs visually. 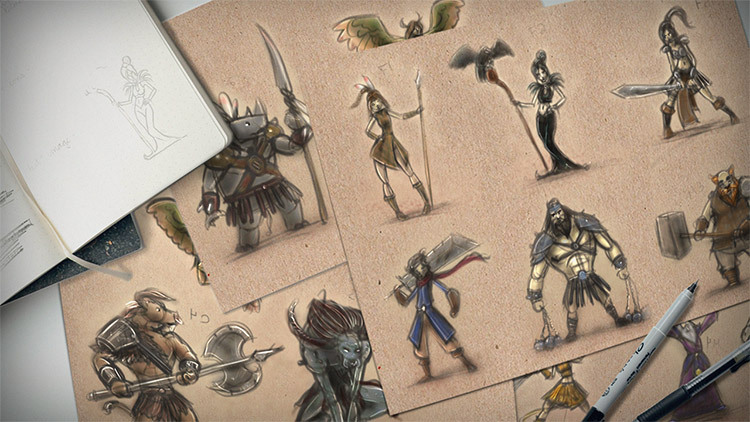 Looking for a great course on designing character concepts from scratch? Then this one is a great place to start. It comes with the Pluralsight package so if you sign up for a free trial you get access to this course along with all the others. It’s an intermediate-level course so it helps if you already know how to draw/paint and maybe know your way around the SketchBook software too. But you’ll learn a lot about rapid prototyping and working fast, two things you’ll need if you want to go pro in the concept art industry. SketchBook Pro has features that let you transfer your digital designs into traditional mediums and in this course you’ll learn to master that process. 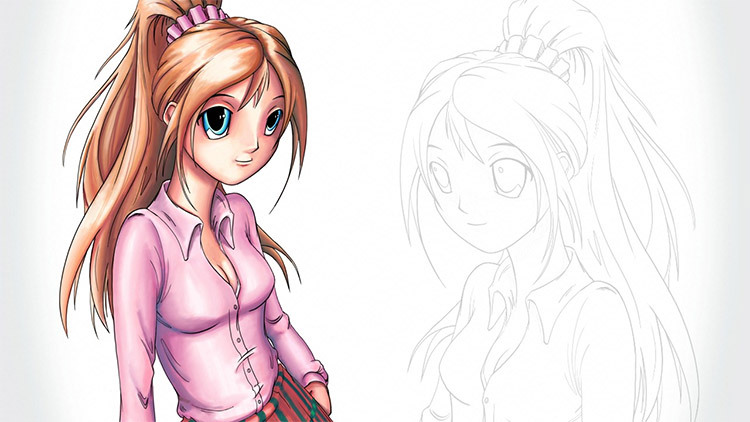 It’s not a classic course but it’s perfect for anyone who likes to draw manga or create their own cartoony character styles. Anyone who loves traditional art will enjoy this course. And it’s a great resource because you’re learning about shadows, lighting, and color selection along with SketchBook Pro’s many tools. 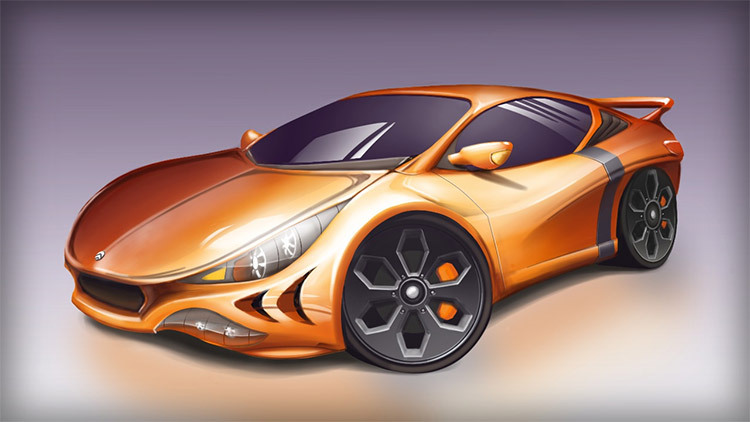 Vehicle designers are in high demand for quality concept art. If you love vehicles or props in general then it helps to specialize and build your skills. This video course spans 3.5 hours long and teaches you step-by-step how to design auto concepts in SketchBook Pro. It’s not meant just for concept artists but it works incredibly well for anyone in that field(or anyone hoping to break in). It claims to be an intermediate course but the early videos teach a lot about the basics of the software, so really I think anyone could follow this and learn a lot. I wanna make one honorary mention to this Lynda.com course because it really is fantastic for beginners. All of their “essential training” videos cover a lot of ground and this one’s no different. It’s over two hours long and focuses on the most recent version of SketchBook Pro. The only trouble is that Lynda’s library does not have many other SketchBook tutorials. Since you’d be paying for monthly access to the whole library it makes way more sense to go with Pluralsight because they offer so much more. Still if you’re already in Lynda or if you might want to study other Lynda courses then totally give this one a chance.